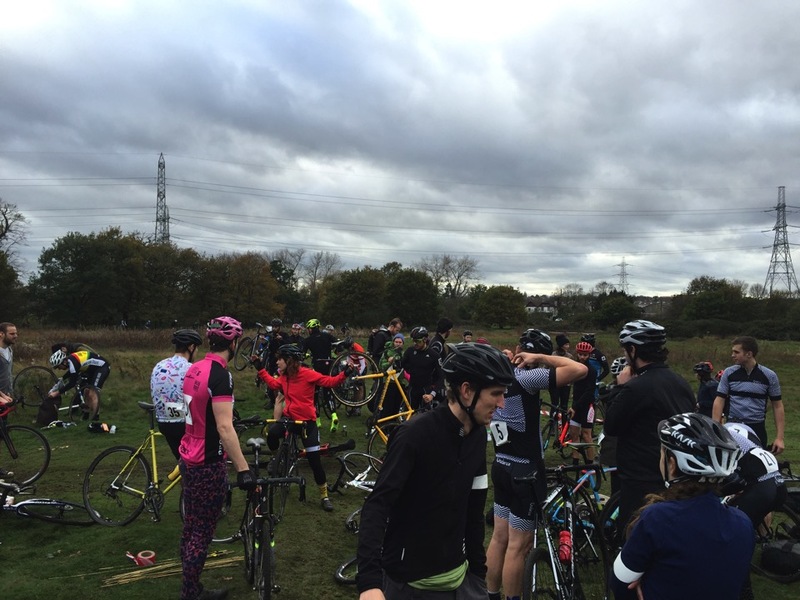 This weekend was due to be a big weekend of cross riding and be my first taste of cyclocross. This year I thought I’d have a go and see what all the fuss is about and maybe take the sting out of getting towards my first crit in the new year. 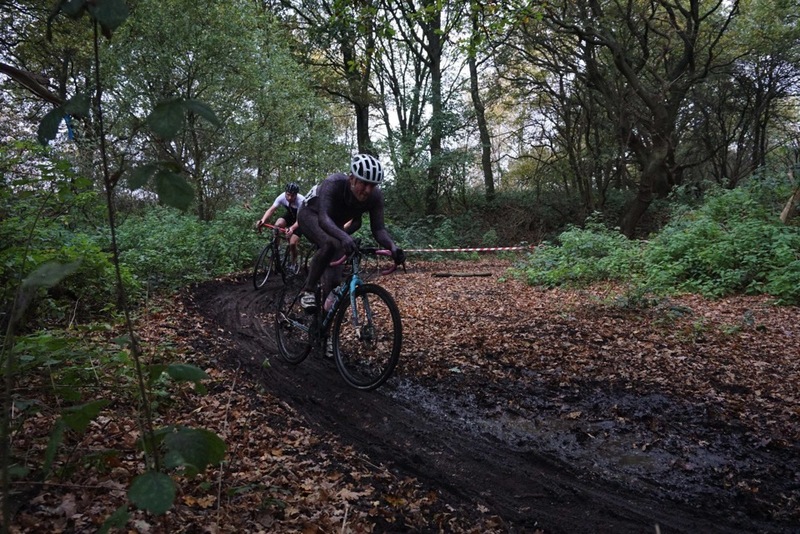 The idea was to race at Kings Cross in the third round of the Rapha Supercross and then Incredibly Cross on the Sunday. 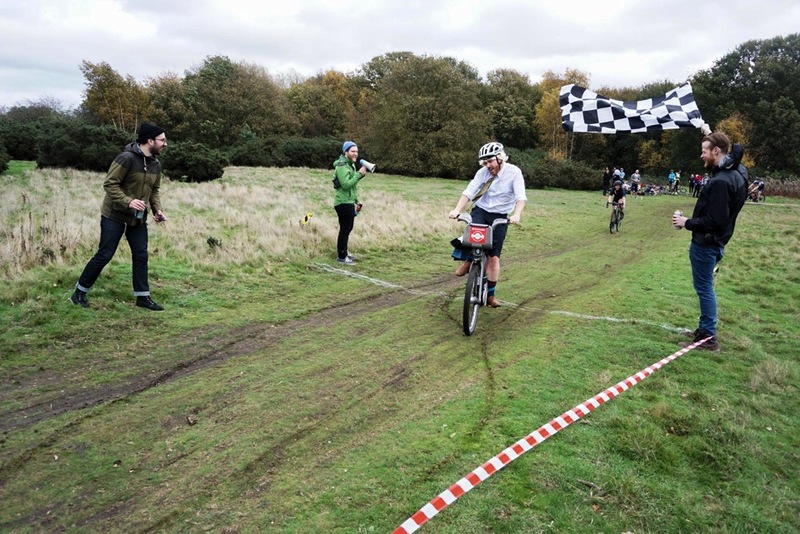 At the Supercross I entered my age category and also the fun category – the tequila shortcut being particularly appealing. Things didn’t start well and they were already two hours behind when I arrived to sign on – no one really seemed to know what was going on. Ahh well, more time to chat and watch people racing I guess and enjoy the atmosphere. It was raining and pretty cold and they’d relocated the stands undercover to compensate. I managed to do two practice laps and it felt pretty sketchy on a few corners. I did hear a few thuds of riders slapping themselves down on the hard floor behind me as well as the ‘ooooh’ from those watching. 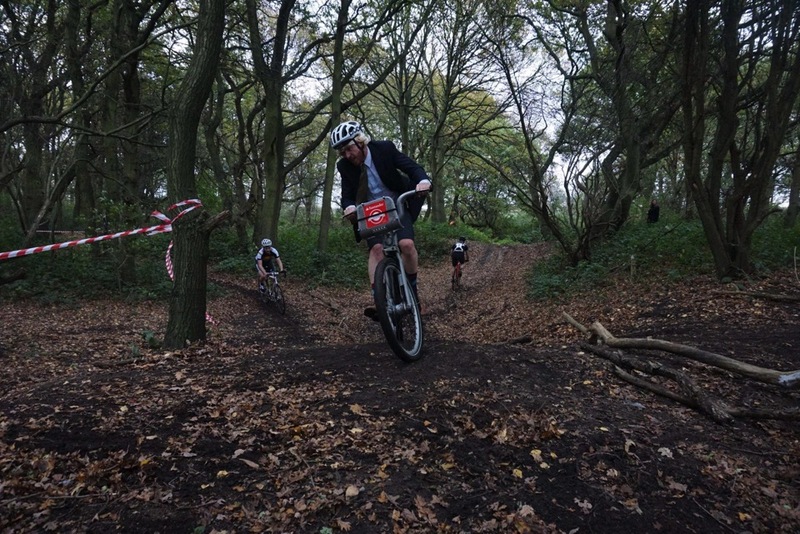 I almost lost my front wheel in one of the corners on the wet granite but was pleased to see that everything was rideable – no need for cross dismounts! This was good as I hadn’t really practiced these properly. Regardless I was still keen to ride and experience a few sharp elbows and the fun of it all. 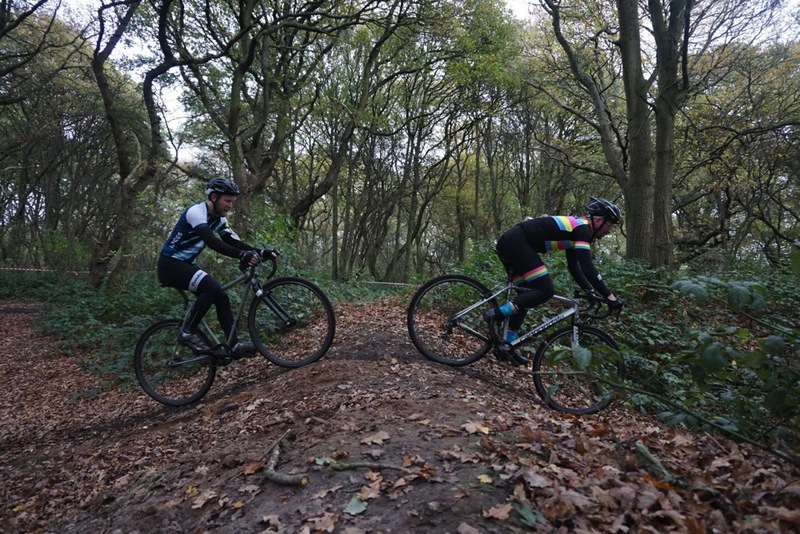 I thought a few MTB skills might help get round the course and give me a chance against those faster than me on the straights. Sadly it wasn’t to be as someone came a cropper on a loose bit of ply on one of the ramps during the women’s race. 20 mins later it was all over after lots of people in high vis inspected things and stood around talking. Presumably lots of teeth sucking was also involved. To be honest I was a bit gutted as I’d psyched myself up for it for a while and climbing down was a bit odd. Anyway, then they announced the free bar courtesy of Canopy, my favourite local brewery! A cheer went up and we enjoyed the free beer. 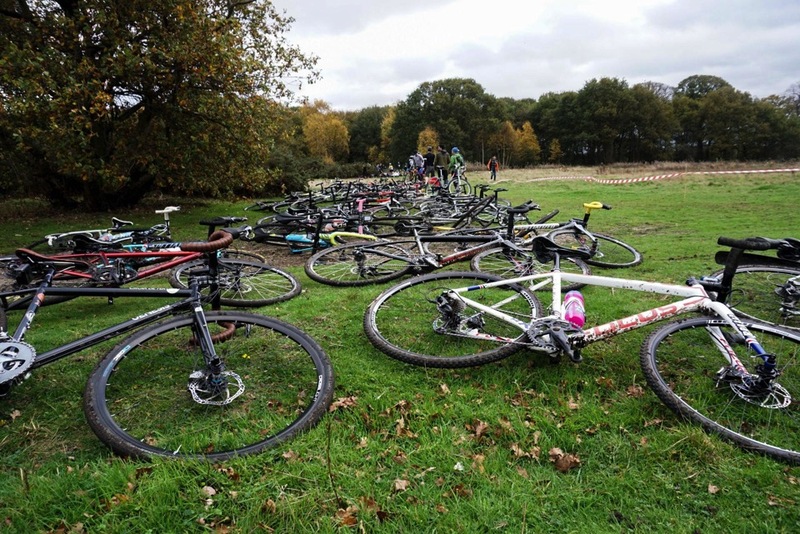 Loads of the Brixton lot were there as well as various others in the London cycling community. 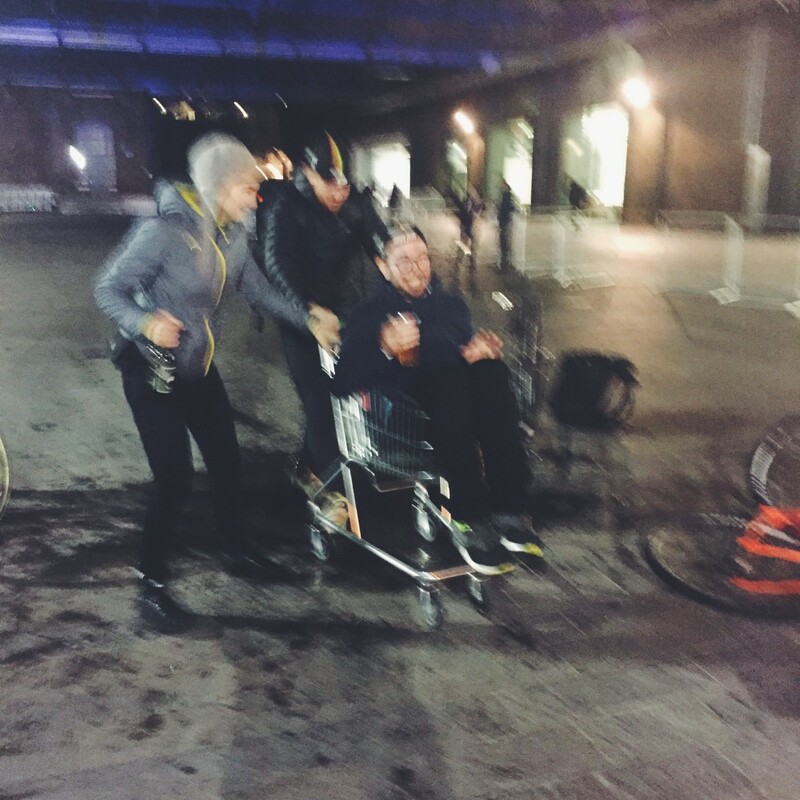 Plenty of beer was had and what more fun could be had in Kings Cross than putting an injured cyclist (broken collar bone) in a shopping trolley and wheeling him around. Seemed amusing at the time. So, Sunday was another hangover and getting up and ready for the Incredibly Cross event. 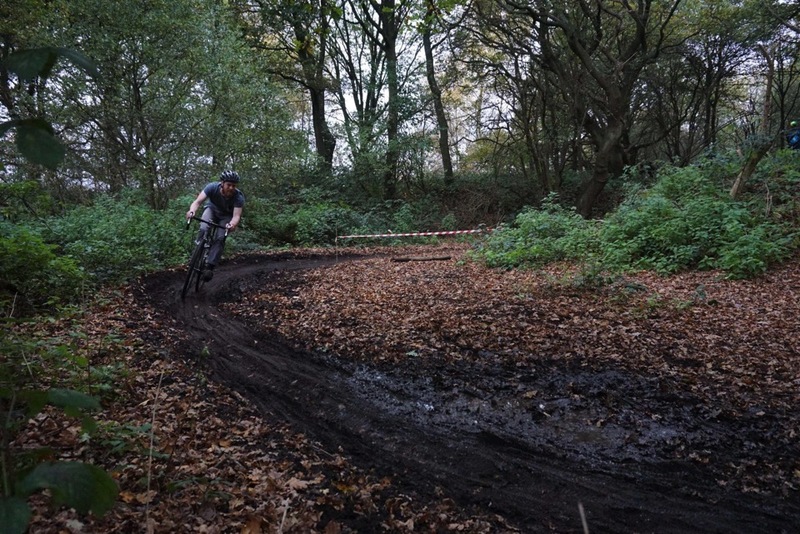 The idea of it is that it’s an underground informal, unsanctioned cross event that happens in a local woods, a course is made, ridden and then removed leaving only tyre tracks and a few weary riders with more hangovers. I’d been riding with Steve the weekend before who’d told me about the inspiration for it. In the US there are a number of events that are not part of a race series but just organised by friends and often involve a bit of fancy dress and plenty of drinking. 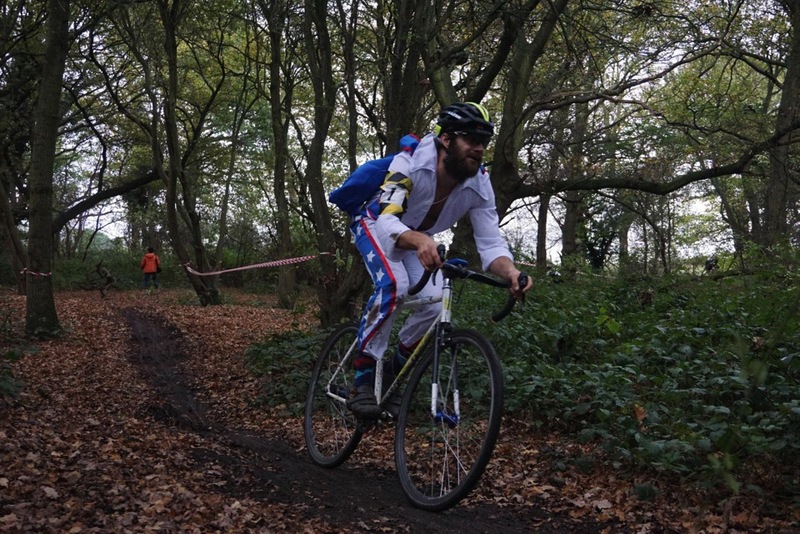 Incredibly Cross offers the usual men and womens podium places along with two other prizes, most inappropriate bike and best fancy dress. 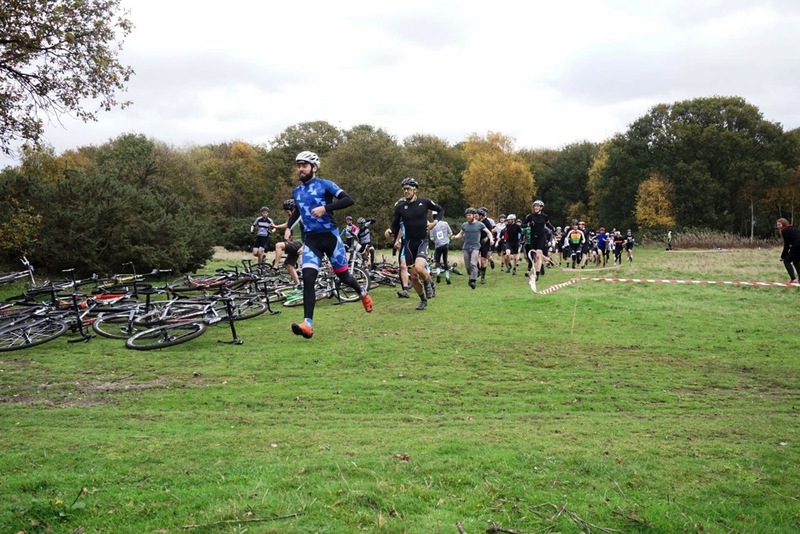 My logic was that I would get a good race on the Sat so why not have a bit of fun on the Sunday? Steve convinced us to have a go at the most inappropriate bike. My first thought was my Brompton or #pizzabike. But instead I settled on a Boris bike! And why not dress up as Boris also? A few trips to a charity shop and a trip to Oval to get a bike I was ready. Working in Camden made getting a blonde wig pretty easy too. After collecting the Boris bike I was alarmed at the weight of it whilst I man handled it into the van – 26kg or about 3.5 times as heavy as my road bike! Too late, we’re committed now. 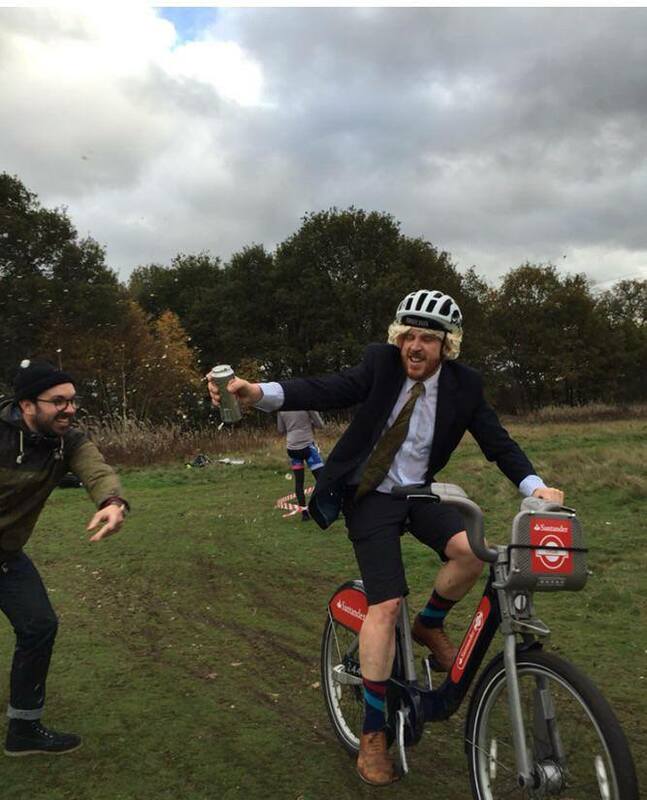 I put my wig on, jacket, tie, brogues and so on and then had the slightly strange experience of riding around sub-urban Mitcham dressed as Boris Johnson along a main road next to a park, much to the bemusement of onlookers. I finally worked out where to go and arrived dinging my bell and a nice cheer from the crowd who had already assembled. This was the second race in the series and they had attracted over 60 people which is amazing. 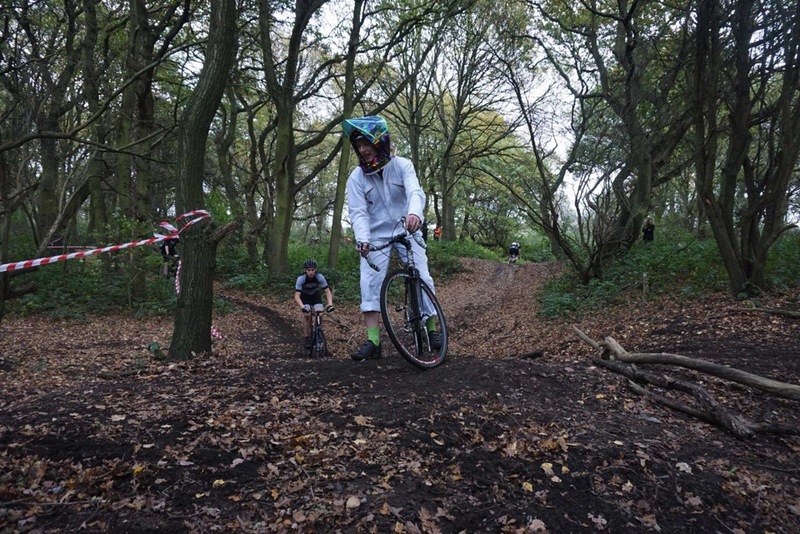 A few others had also dressed up including Neil who came as Evil Kinevil and also Ben who came along in a white jump suit with home made spacehelmet. As you do! Entry to the race is the princely sum of £2 or four tins of beer. I brought four bottles of Babycham and a bottle of Pink Cherry Lambrini as my entry which was fortunately accepted. The usual sign on and pinning of numbers takes place and then it’s down to racing! It’s a Le Mans start so drop the bikes off, walk back and go. 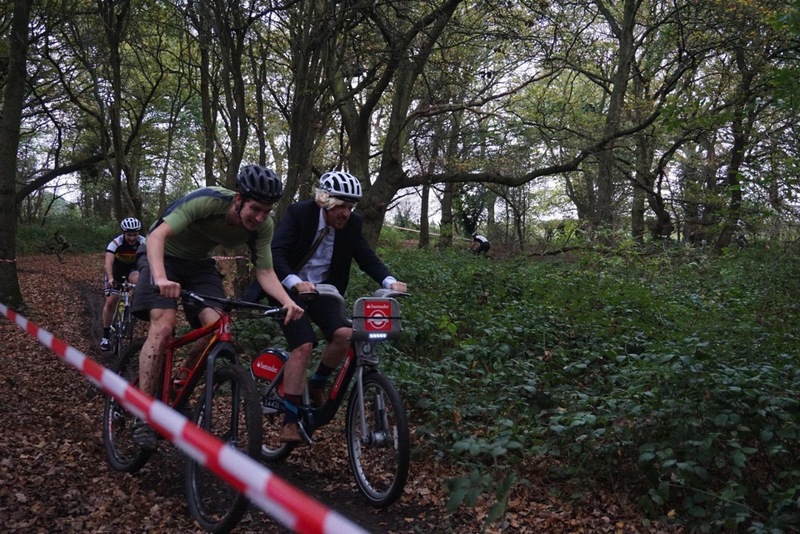 Except I had an advantage – the Boris bike has a stand so was already upright and visible. That was where my advantage ended. Whilst everyone had their briefing all the bikes were moved around by Steve and Robin so as to add to the fun. Four bikes of the same model were carefully located together to further add to the confusion. I’d already done a quick practice lap and regretted the brogues with their slippy soles even more than the heavy Boris bike. 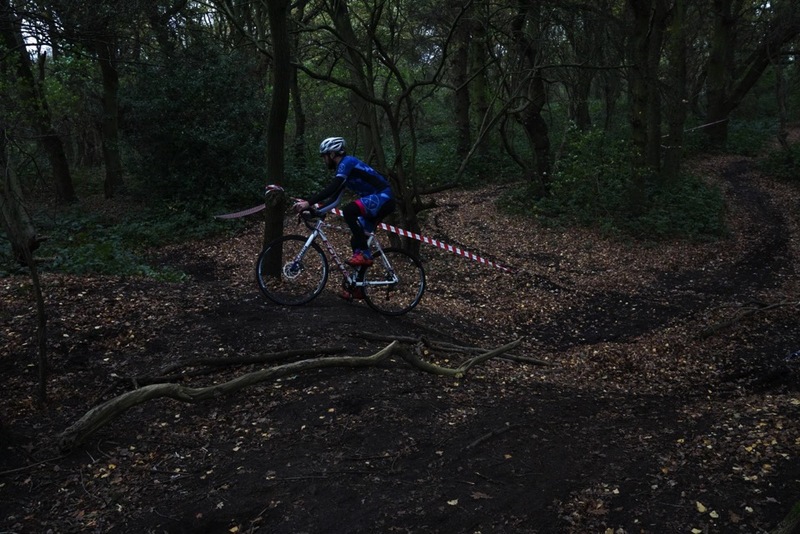 The step through cross bar did allow speedy dismount though. I was also relieved to hear that it was based on time (40 mins) and not laps. After two laps I was dying and so so hot in that jacket. However it was a hell of a lot of fun and I did actually want to ride it not just pootle around. 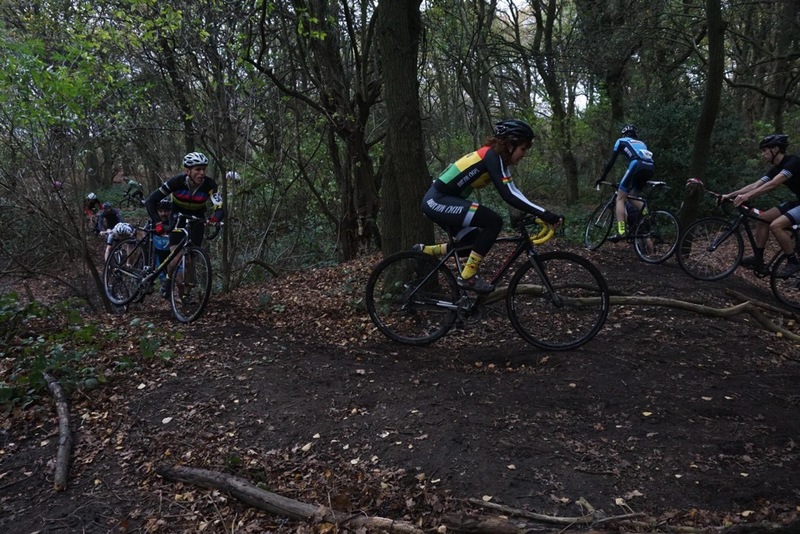 The course was great fun and did have me wishing for the actual cross bike, light wheels and frame and knobbly tyres. Never mind we were here now. On your right Boris. Thanks Boris. Amusingly everyone seemed to want to join in with the fun and I didn’t get lapped as much as I thought I would. The bike handled surprisingly well with it’s big tyres and ridiculous weight. The only trouble I had was lifting it up over the two log obstacles and the little step up log. That last one got harder and harder each time. After I’d accepted it was going to hurt, stowed my jacket in the basket at the front and rolled up my sleeves I was even more into it. And then there were the beer hand ups. Hilarious. Trying to grab a beer from one person at relative speed, take sip without it going everywhere and then handing it back was challenging at best. James seemed to be having fun handing them out though. Sadly I had to avoid the shot of whiskey offered due to needing to drive back but by all accounts most people managed to spill it all over their face anyway. Laps got harder and harder towards the end and I was so pleased to hear the final bell go for the last lap. It did seem like a bit of a shame that it was all over but the chequered flag was still a welcome sight. Shouts of “do a skid” rang out as each person crossed the line. 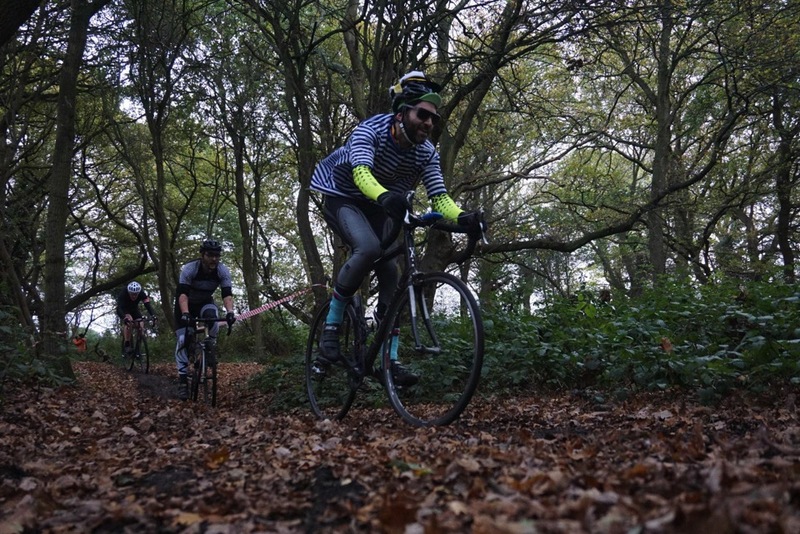 I did manage to ride almost all of the course though and love these two photos. 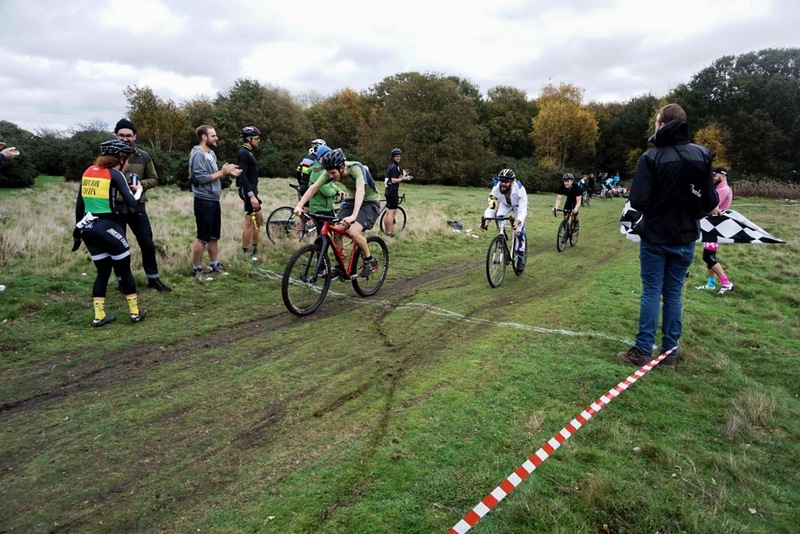 The first actually looking at the exit of a corner – something Neil has been telling me to do on a mountainbike for years and then secondly racing letting Will go past on my right. Once everyone was done tins of beer were opened and then a small prize giving and podium took place for the men and women. So good to see two Brixton women on the podium and Adeline with first place! 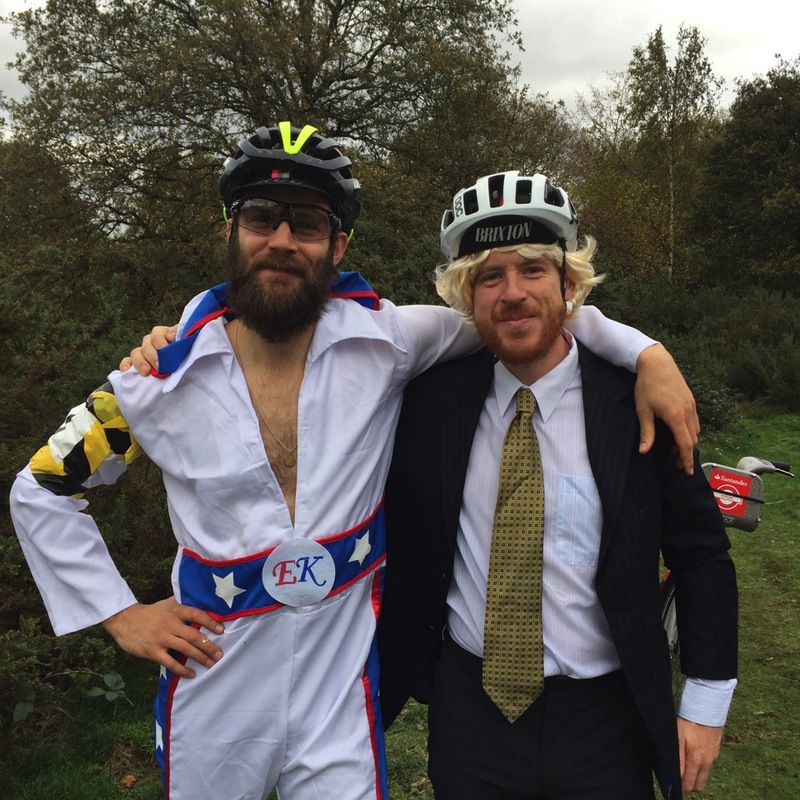 Ben (also BCC) got best outfit and I got most inappropriate bike so a not a bad day for Brixton in all. I won back my Babycham and Ben won my Lambrini which we of course opened and sprayed over each other. 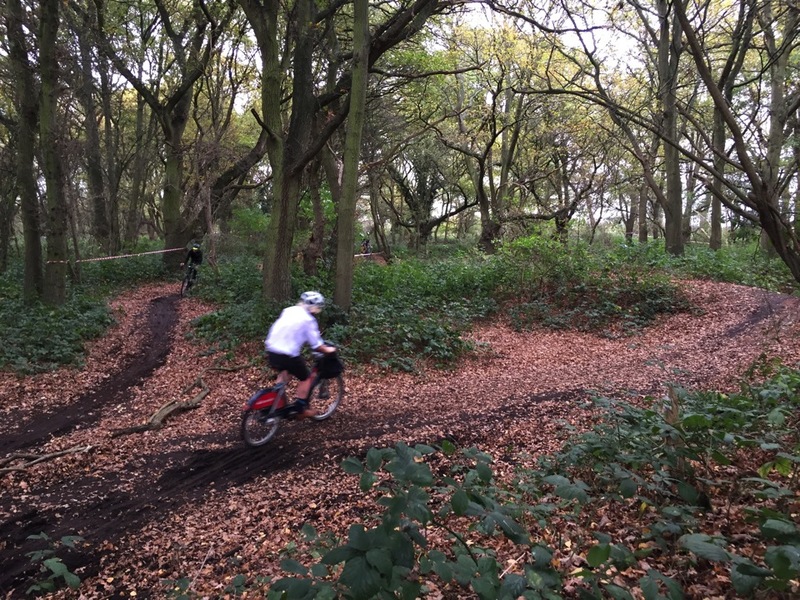 Such an amazing day out on an inappropriate bike and it kind of reminded me of that stupid care free time you have mucking about on bikes in the woods as a kid. Although with beer. Such a great atmosphere, organisation, course and bunch of people. Can’t wait to do it again although with a proper bike. Some of my other favourite photos below. And as with most cycling events, it ended up in Canopy after.